Zara attended this event at the last minute due to it being called with just three weeks notice. To be fair to the organisers they had been working on the sponsors for months to get funding and at one point the location was going to be the stage for the World Cup (after The pro center in Fuerteventura pulled out) but the organisers finally opted for a National event with 5000 euro prize money. The late call did cause a lot of controversy with the riders as due the 5000 Euro prize money and video timing the event was given a factor of 3.5. Making it the highest points scoring event of the 2010 tour and critical for the world ranking for the year and for Zara it was a must attend event if she wanted to keep her No 1 world ranking position. The opening day was Tuesday 16th with registration in the morning. By lunchtime a course was set but with 60 knot gusts coming through and waves up to metre high the riders were put on hold for safety reasons. Racing commenced at 2.30 with a 60 min round. 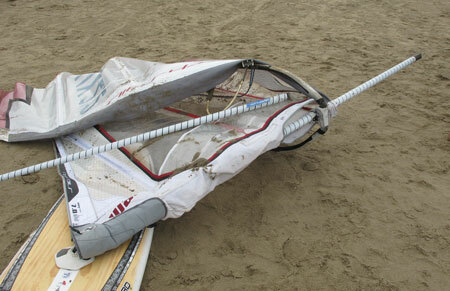 The wind had moderated to about 20 to 55 knots still with one metre breaking waves. Making the right kit choice a real challenge! 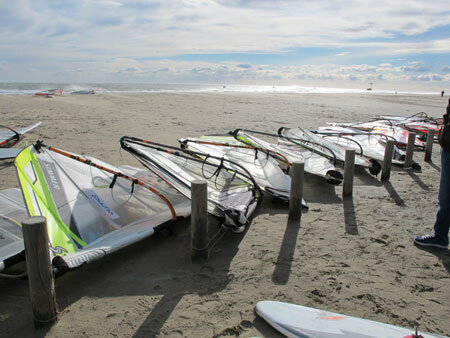 The men's fleet was dominated by the PWA slalom experts as the square choppy conditions were more akin to slalom than speed. 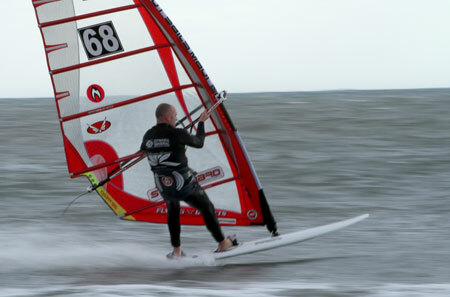 Bjorn Dunkebeck was the absolute master in these conditions as his years of experience really showed. He made the 500 m run look flat when it clearly wasn't. Martin Ogier from Guernsey was the best placed Brit in 15th place who had worked out before the event that he needed 14th place or higher to take the 1st place ranking for the year. 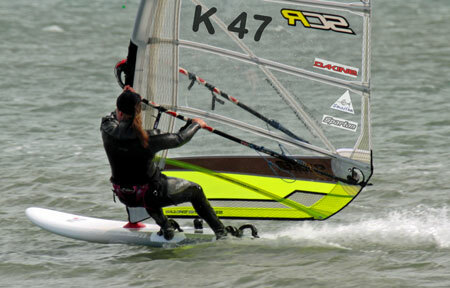 Local girl, Fanny Aubet another PWA regular was very much at home in the conditions and won the round easily with Zara in second place. This was the good day! The wind then disappeared for a few days and the only opportunity was wind forecast for Saturday with 25 knots but from the opposite direction! meaning ONSHORE conditions. The organisers desperately tried to find another spot on the other side of the beach but failed due to problems with licensing from the local authorities. A speed sailors room 101 is a course with onshore winds add in 2.5 metre waves approximately 8 seconds apart and you move into a nightmare scenario. Saturday dawned and the nightmare became reality. Possible Warrantee claim? I think not! 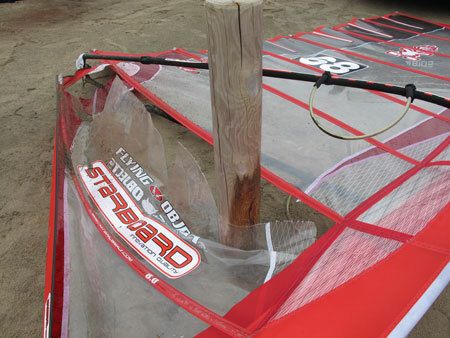 Half the fleet didn't get off the beach or only did one run including Zara and Martin, the kit breakage was on an epic scale luckily only one kiter was injured badly and needed an ambulance. The pro riders were again coping Ok but only a few managed speeds over 30 knots and the round only just counted for ranking points with only ten riders achieving over 28 knots. Sunday the wind died much to the relief of the fleet who after the prize giving took there battered bodies and kit home.